Designed to occupy your doggie for hours, providing exercise and preventing boredom. 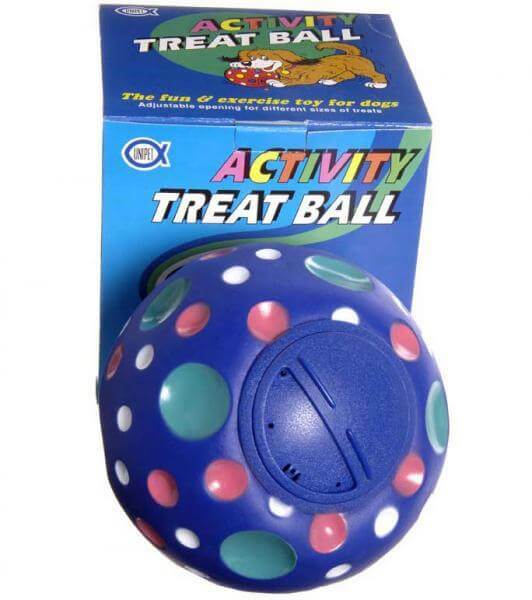 A hard plastic, colourful ball has an adjustable opening which can be filled with food treats and left slightly open to allow slow release of treats as your pet moves the ball around. Good for providing mental stimulation while using up any excess energy your pet may have.